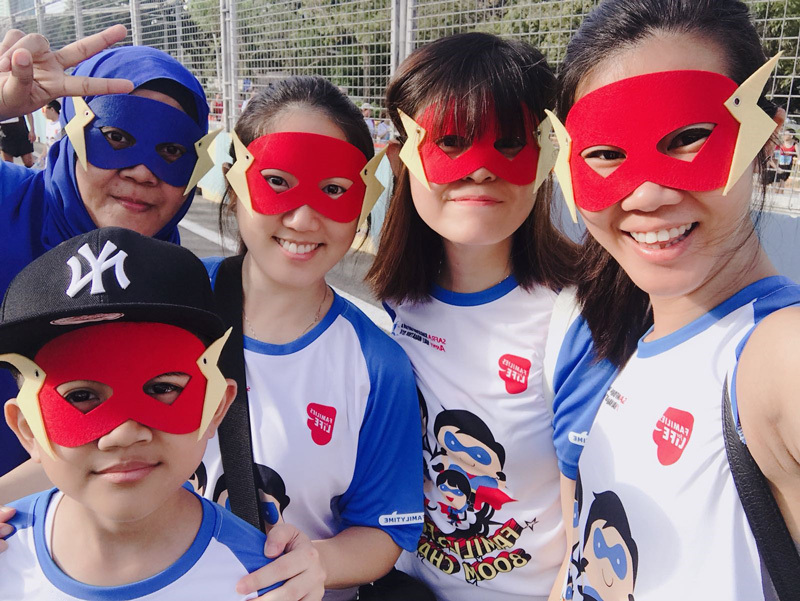 Togged up in T-shirts emblazoned with the sketch of a “Super Hero” family, and wearing masks, principals, staff and children from NurtureStars took to the streets in this year’s “Families for Life 800m Challenge” in the 2018 edition of the SAFRA Bay Run. 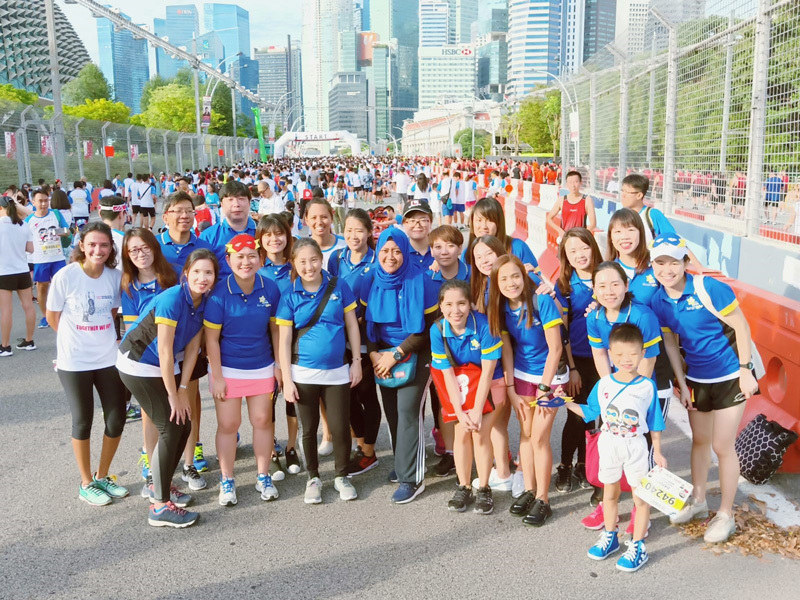 A total of 50 staff and 60 parents participated in the non-competitive event that was flagged off at the Esplanade Bridge into the Marina Bay area on 26 August 2018. Jointly organised by SAFRA and the Army, the event brought active Singapore Armed Forces servicemen, NSmen and their families together to keep fit and bond as they train and run together. NurtureStars had once again taken advantage of the excellent opportunity for parents to know its teachers and staff better, and for family bonding, in an exciting weekend outdoor event. 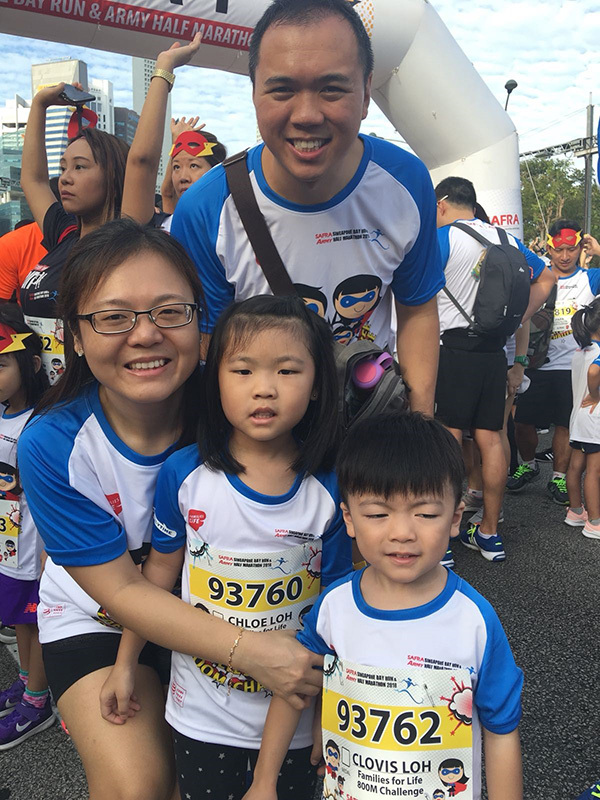 The 26th edition of SAFRA Singapore Bay Run & Army Half featured two competitive categories – the 21km Army Half Marathon and SAFRA 10km Race, as well as three non-competitive categories – the SAFRA 5km Fun Run, NS Team Run and Families for Life 800m Challenge. NurtureStars Parent and children posting for photo before the event. A group photo of our staff and children before the flag off. “Super Hero” family and staff during the event.